Everyone, it seems, wants a crossover (CUV) these days. Soccer moms, millennials — name the demographic, and unless they're in the market for a pickup truck, there's a good chance a smallish SUV with all-wheel-drive is on their car-shopping radar. It makes sense, then, that automakers are looking to these vehicles as worthy candidates for electrification. Over on the InsideEVs Forum, we're tracking what all-electric CUVs are here and what's coming to the segment on our Counting Crossovers thread. So far, our tally totals eighteen here, or on the horizon. Besides makes, models and expected production dates, we're also filling in details like prices, battery size, and expected range as they become available. We encourage you to go have a look (and maybe let us know if there's something we've missed), but first, we want to talk about a few that excite us the most. Tesla Model X with falcon wing doors aloft. In the "already arrived" category, the Tesla Model X (right) stands alone.With the first deliveries taking place over two years ago, this CUV (ok, it leans more towards being a full-size SUV, but we're using "squishy" definitions) has blazed the trail. Unfortunately for those of us slim of wallet, it starts at $89,000, which gets you the smaller 75 kWh battery option, good for 237 miles of range. Though its sales haven't eclipsed those of its sibling Model S, as might have been expected, around 35,000 examples have been delivered since production started, so current production doesn't lag far behind the sedan. 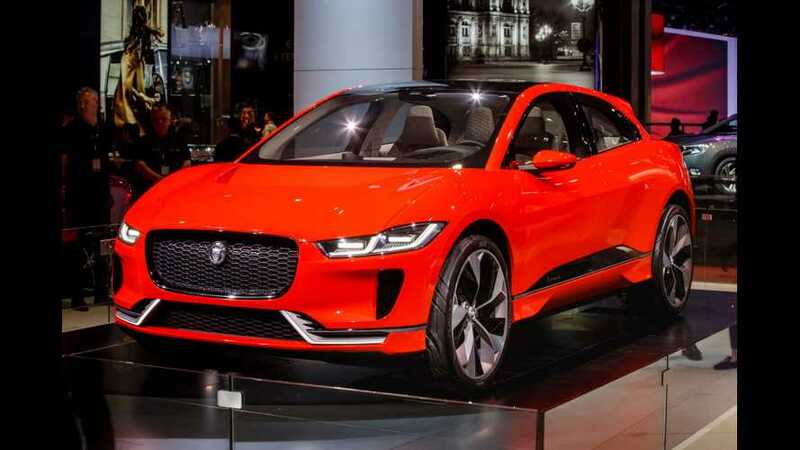 When it does arrive, expect the stats to echo those of the concept version, with 400 horsepower and 516 pound-feet of torque from two electric motors powering all four wheels. The concept's range was stated as 310 miles on a NEDC cycle, so in America expect the EPA to bless it with something in the neighborhood of 265 miles. Though its 90 kWh battery may be a bit slow to fill up — think 90 minutes from empty to 80 percent from a DC 50 kW charge station — its acceleration of 0-to-60 in four seconds may keep you from dwelling on that weak point. With a base price tag reading under $100K, this is a vehicle with the Tesla Model X square in its sights. Premium CUV shoppers may stroll past these two choices next year, though, once the Audi E-Tron Quattro hits. Also a handsome machine, it cradles a 95 kWh battery in its belly, which should give it approximately 275 or so miles of range. It's spritely, but not quite as quick as the Jaguar, putting up a 4.6-second 0-to-60 performance. For some, charging speed may be more important and here, the Audi delivers. If you can find a Combined Charging System (CCS) station with 150 kW, something we expect will be more common soon, it should fill as fast as a Tesla. That means empty-to-80 percent in about 30 minutes, or full in just under an hour. If Audi manages to hit its early price target of £60,000 in the UK, we may see it in the U.S. near $79,000. Although the previously mentioned three vehicles are all quite appealing, the vast majority of consumers will want something far more affordable. In the coming year, it seems only the Korea-based duo of Kia and Hyundai will be serving up crossovers that fit that bill. 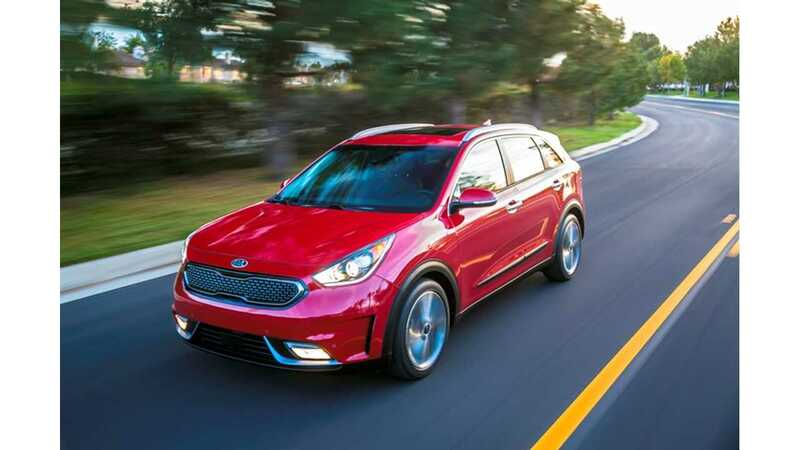 The Kia Niro EV is perhaps the best known quantity, since it is already available in the US, and elsewhere, with an internal combustion-based drivetrain. Details are still vague regarding the electric version, but last we heard, we should see a pair of battery pack options of 39.2 kWh and 64.2 kWh on offer. Range, then, would probably be about 140 and 230 miles. The Kia Stonic will be that brand's second all-electric CUV, sharing a platform with the Hyundai Kona EV, (the third Korean model expected for 2018). Since we've heard Kona EV will have the same battery options as the Niro EV, it's quite possible that the Stonic will as well. Pricing at this point is anyone's guess, and ours is that they three will occupy various spaces between $30,000 and $40,000. With their entry to the market so close, it's quite likely the trio will make their official debuts during the upcoming car show season, perhaps as soon as the LA Auto Show, which starts December 1st. If not then, we'll be keenly watching their booths during North American International Auto Show (NAIAS) in January. All the particulars should be made public around the times of their unveiling. Ultimately, what we want in a CUV is what most others want: a vehicle big enough for our families and stuff, which can travel at least 200 miles on a charge, recharge quickly, and do all of that while looking good. 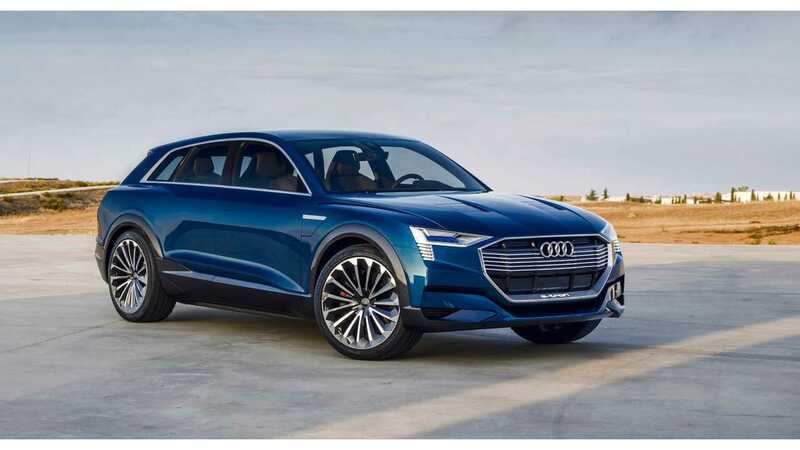 Among the dozen crossovers set to arrive post-2018, there are any number which excite us. 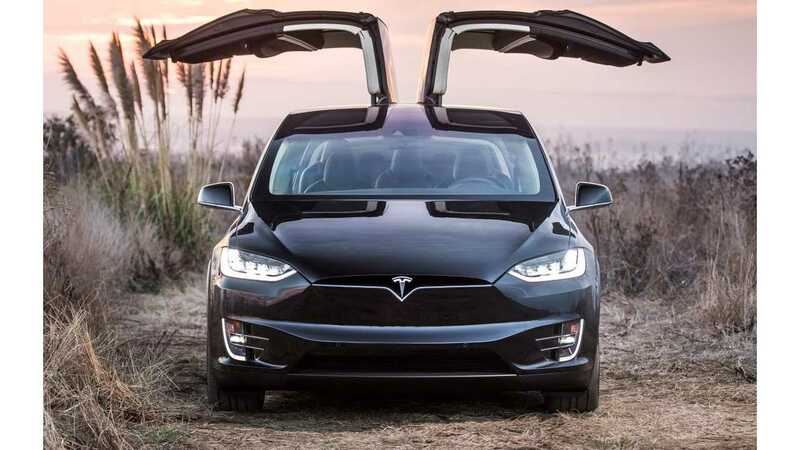 Certainly the Tesla Model Y is one we are keen to lay eyes on, since that company tends to have pleasant technological surprises with each new addition to its lineup, and its constantly expanding, simple-to-use Supercharger network takes much of the worry away from long-distance trips. Another is the Volvo XC40 EV, which will be that brand's first 200-mile plus all-electric, and available in 2019. If an all-electric crossover is in your future, or if you're just curious to see how the market is shaping up, we invite you to track all of the above crossovers, as well as the many unmentioned models with us on the InsideEVS Forum.